Casting for the Justice Society of America on CW's Legends of Tomorrow is another step closer to being completed as Sarah Grey (iZombie, Lucifer) had been tapped to be Stargirl. 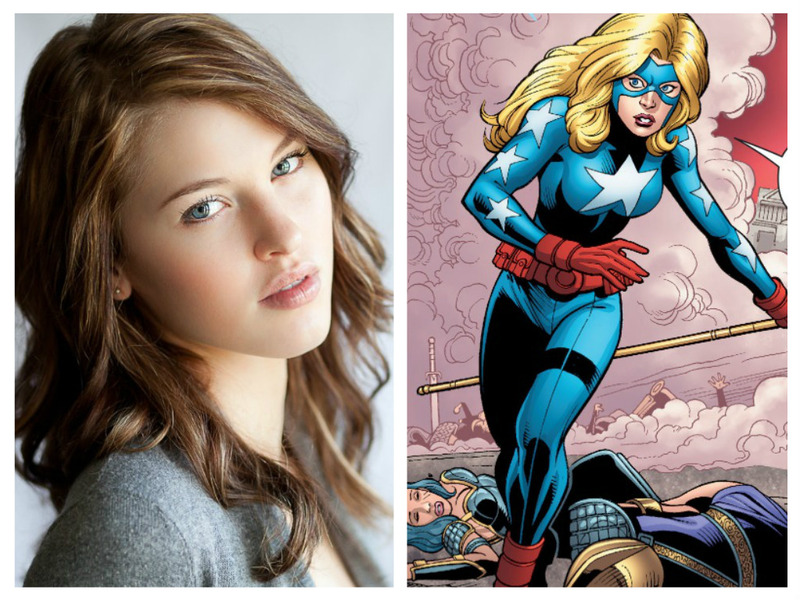 She joins Patrick J. Adams as Hourman (who appeared in the season one finale last year), and Matthew MacCaull as Commander Steel (as confirmed by EW) while the roles of Dr. Mid-Nite and Obsidian, have yet to be cast. and energy manipulation. She was created by DC Entertainment's president Geoff Johns in 1999 as a tribute to his sister Courtney who died in a plane crash. Grey has appeared on numerous television shows and will appear in the upcoming Power Rangers feature film in 2017. She becomes the second actress to play Stargirl in live-action after Britt Irvin portrayed the character in several episodes of Smallville. Stargirl, the JSA, and the Legends will take on the Legion of Doom this coming season. Also joining the fight is Amaya Jiwe as the new iteration of Vixen. Legends of Tomorrow returns October 13 at 8 p.m. ET/PT on the CW.